SOUTH PRINCE GEORGE, Va. — Freshman Kenny Southerland/Richmond scored a game-high and career-high 18 points, and sophomore Robert Smith/Hampton added 16 points, to lead Richard Bland College to an 81-60 Region 10 men’s basketball victory past Patrick Henry Community College on Wednesday night in Statesman Hall. Sophomores Tim Bing Jr./Suitland, Maryland and Deon Joyner/North Charleston, South Carolina each finished with nine points for the host Statesmen (13-5, 7-3) against visiting Patriots (6-8, 5-4), who received 15 points from Dequarius Harper. Richard Bland won the opening tip that resulted in a fast-break slam dunk by Smith, but the Statesmen fell behind 10-6 at 15:03. Richard Bland responded with a quick 9-3 run to lead 15-13 at 10:16, getting five points from Smith, including a three-point field goal. The Statesmen led 24-18 at 6:49 after a three-pointer by sophomore Brandon Henry/Chester, and the lead was 34-23 at 2:55 following a jumper from Smith. Sophomore Tre’ Patterson/Richmond made a three-pointer to close out the first half for a 41-29 lead. 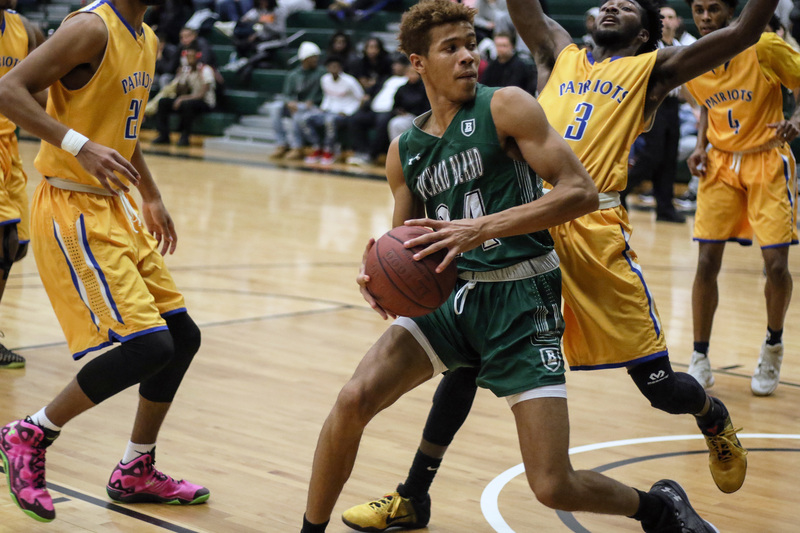 Richard Bland continued its momentum to start the second half, increasing the advantage to 50-31 at 15:12 after a three-pointer by Bing. The Statesmen led 53-37 at 12:47 following a three-pointer from redshirt-freshman Miodrag Dronjak/Kladovo, Serbia, but Patrick Henry managed to close to within 56-47 at 6:54. 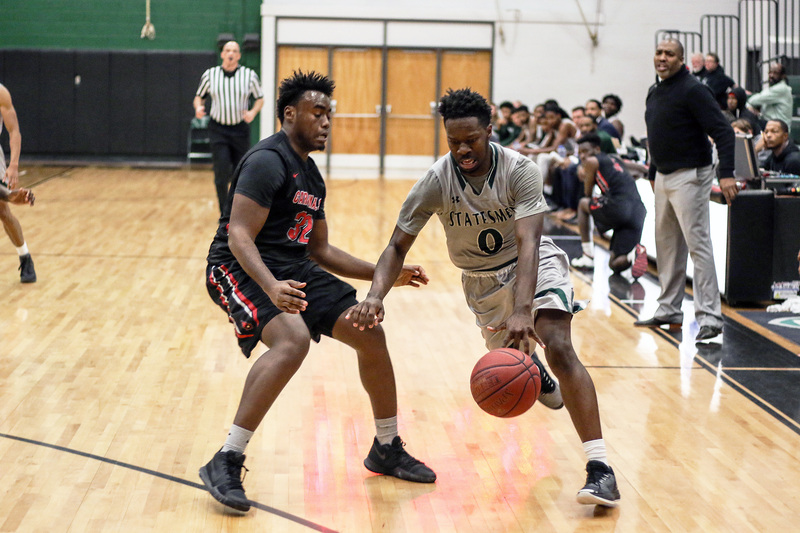 That was as close as the Patriots would get, however, as Richard Bland closed the contest with a 25-13 run, getting six points each from Southerland and sophomore Stanley Taylor/Petersburg – each adding late crowd-pleasing dunks, as well. Southerland led Richard Bland with his game-high and career-high 18 points, adding a team-high nine rebounds and two blocks, as well. Smith finished with his 16 points, adding five rebounds and four assists. Bing and Joyner each had nine points, with Bing adding six rebounds. Taylor contributed eight points, and sophomore Ricky Hicks/Bronx, New York added a game-high six assists. 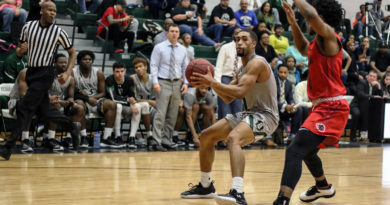 Richard Bland shot 48% (28-58) from the field, including 37% (7-19) on three-pointers, and 69% (18-26) at the free throw line. Harper led Patrick Henry with his team-high 15 points, adding seven rebounds and three assists. 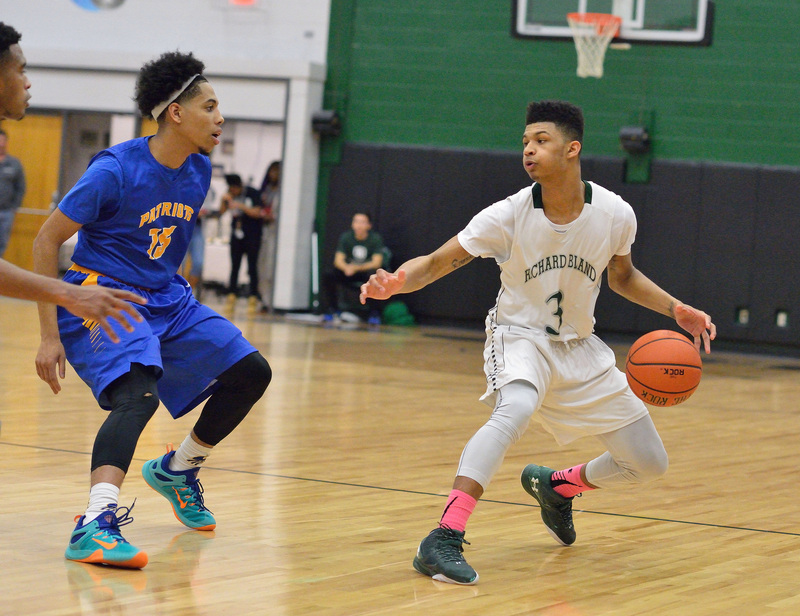 Anthony Taylor finished with 14 points, while Tahkey Williams had 13 points and five rebounds. Brenlee Reedy contributed a game-high 11 rebounds. The Patriots shot 32% (18-56) from the field, including just 1-11 on three-pointers, and 54% (23-43) at the line. 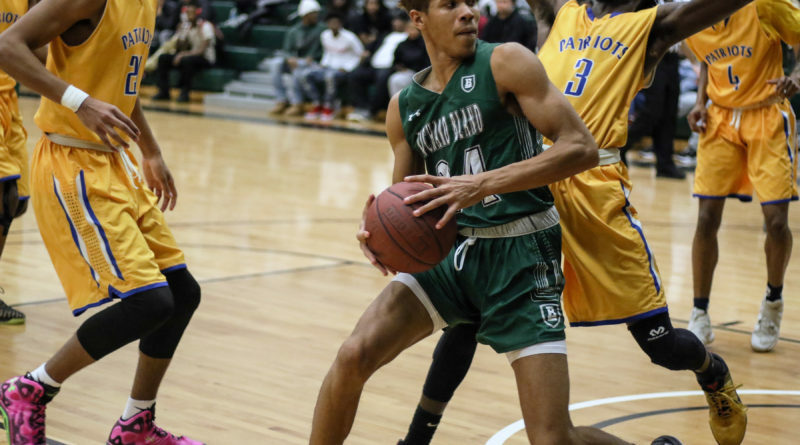 Richard Bland and Patrick Henry were playing for the 11th time in the sport of men’s basketball, and the Statesmen lead the rivalry series at 7-4, including four-straight wins against the Patriots. Richard Bland remains at home in Statesman Hall for two more games this weekend. The Statesmen will welcome Guilford Tech (N.C.) on Saturday, Jan. 27, at 3 p.m. and Lenoir (N.C.) on Sunday, Jan. 28, at 3 p.m., closing this busy stretch of five games in eight days on campus.